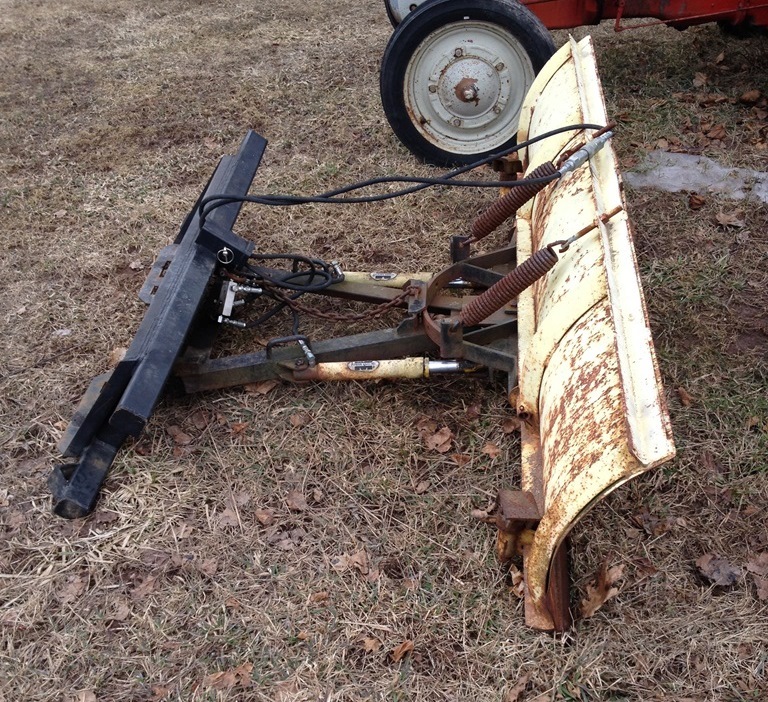 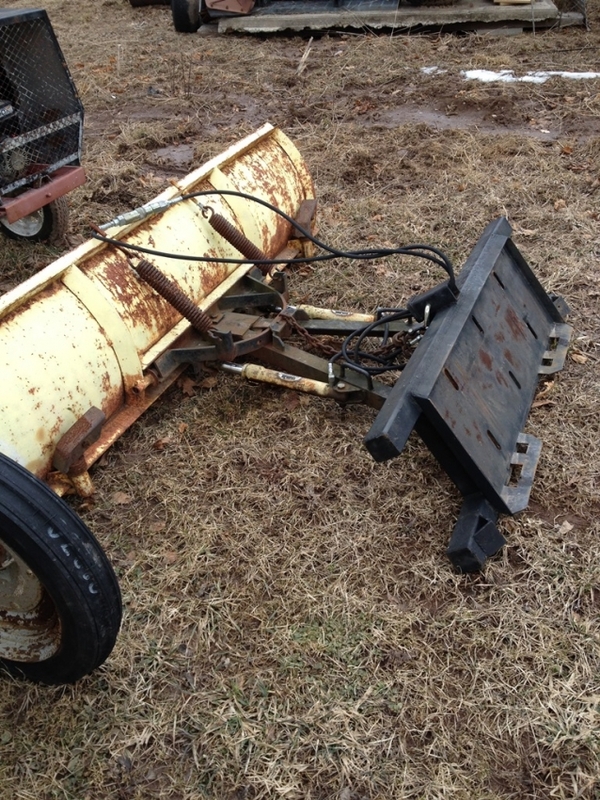 7 1/2 ft Meyer snow plow with universal skid steer mount, power angle with diverter valve, chain lift for float action. 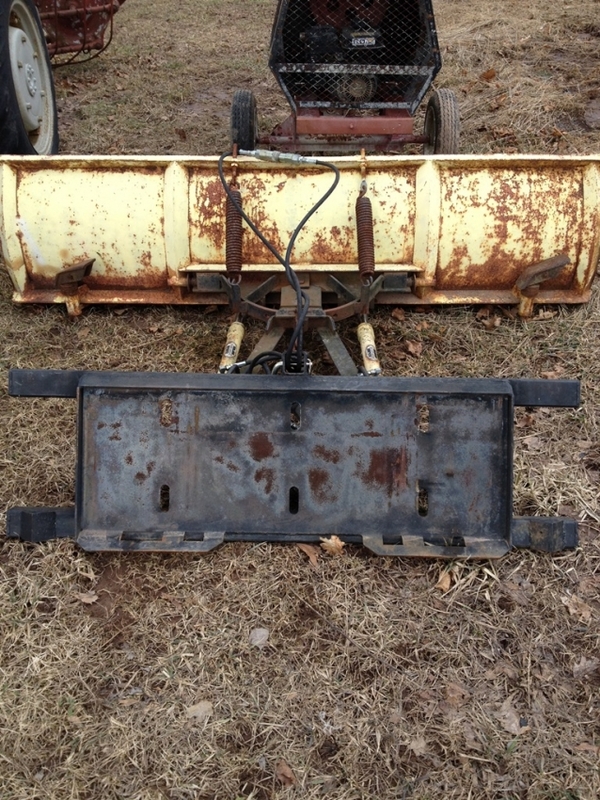 Various Meyer plow blades, frames and parts available. 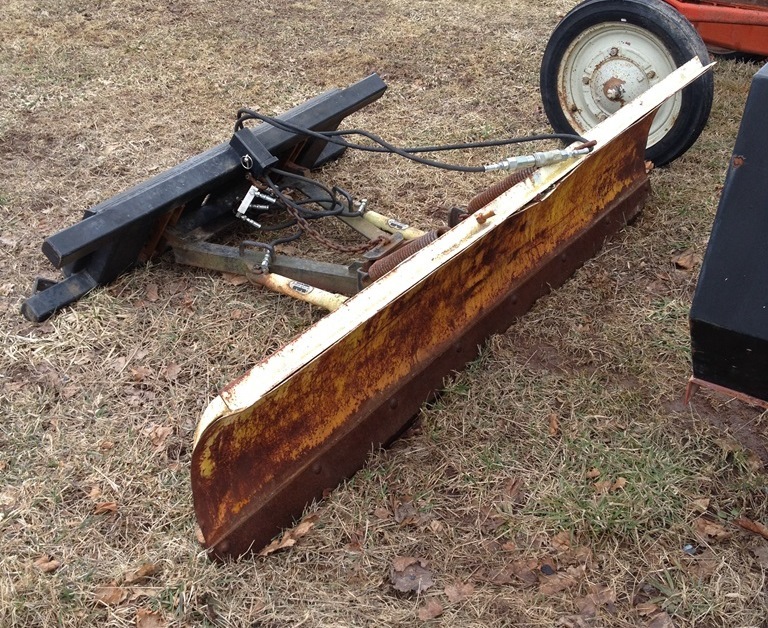 7ft thru 8.5ft.